The FASS Direct Replacement Pump is a complete replacement diesel fuel lift pump for your Dodge Cummins 24V Common Rail diesel engine and is designed to eliminate the common issues found in factory lift pumps that are known for their costly repairs. 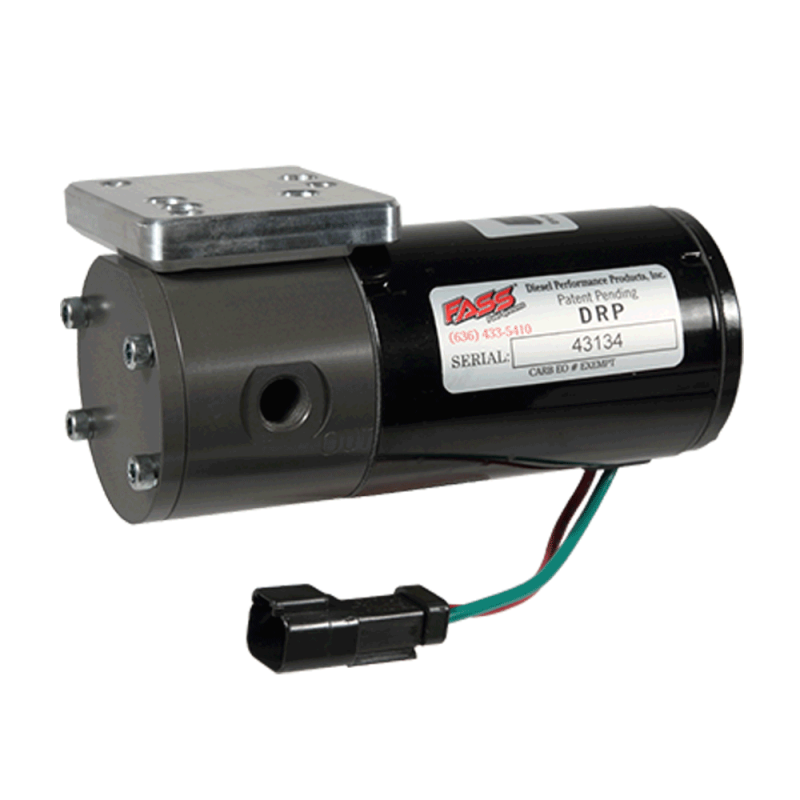 The DRP lift pump's larger motor is strong enough to help supply your diesel truck with a consistent fuel pressure required by your CP3 Injection Pump to produce efficiency and horsepower. Simple to install, the DRP series pump can be installed by any novice mechanic and installs onto the vehicles frame with the supplied bracket, making it the easiest installation of any aftermarket diesel lift pump. To help the DRP series lift pump perform to its top potential we have designed a optional pump relocation upgrade kit that will move the lift pump closer to the fuel tank, reducing the distance the lift pump needs to pull fuel from and instead places fuel under pressure to push diesel to the engine. This is beneficial because all diesel lift pumps perform better as "Pusher" pump and when under pressure the motor doesn't need to work as hard to supply the fuel demanded by the injection system.